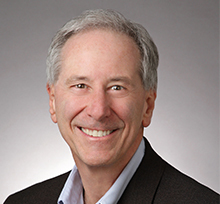 Ken Weckstein is a Partner in the Government Contracts & Litigation Group. He represents clients on matters related to government contracts, complex civil litigation and trade secrets law. Ken has substantial experience in a wide range of complex civil litigations (jury and bench trials). He has successfully litigated bid protests before the Government Accountability Office and courts and contract disputes before BCAs and courts. Ken also represents contractors in IG and criminal investigations and handles litigation involving the protection of trade secrets. In 2003, Legal Times named Ken one of 20 Leading Litigators in the Washington, DC area. In addition to his law practice, Ken promotes professional boxing matches, including a 2019 card that featured a pro who was undefeated in 33 bouts and an undefeated former NFL player. Ken also regularly drives standardbred race horses (trotters and pacers) in pari-mutuel races at racetracks. Since 1990, he has driven at tracks from Rosecroft near Washington, DC to the Meadowlands in New Jersey, to tracks across Europe and in New Zealand. Keystone Turbine Services, LLC (SBA No. NAICS-5996, 2019): Appeal of a NAICS code designation for Aircraft Engine and Engine Parts Manufacturing. The SBA Office of Hearings and Appeals granted the appeal and agreed that the agency had assigned the incorrect code. InnovaSystems (B-417215, 2019): Successful defense of three protests against award to client ECS Federal of a large contract by the U.S. Marine Corps for the M-SHARP software system. Sotera Defense Solutions, Inc. (B-414056, 2017): Successful defense of protest filed against a $150 million award to our client (ManTech Advanced Systems International) for software and engineering support. The protest challenged the Army’s cost realism analysis. BCF Solutions, Inc. (GAO, B-413287, 2016): Protest challenging the Navy’s award of $42 million contract for the development of day/night weapon sighting system. GAO sustained the protest and recommended that our client be reimbursed its costs of pursuing the protest, including reasonable attorney fees. Lovelace Scientific and Technical Services (B-412345, 2016): Successful defense for client Battelle National Biodefense Institute against a challenge by a competitor to the award of a $480 million contract to operate and manage the Department of Homeland Security National Biodefense Analysis and Countermeasures Center. The protest alleged an organizational conflict of interest and misevaluation of technical proposals. Southeastern Kidney Council (B-412538, 2016): Successful defense for client Island Peer Review Organization of protest against a contract awarded by the Department of Health and Human Services for quality improvement services to improve care of patients with end stage renal disease. Onyx-Technica, JV (B-412474, 2016): Successful defense for client NES Associates against protest of an award for telecom engineering integration and architecture support services by the Defense Information Systems Agency. The protest alleged that there were misleading discussions and a failure to conduct an adequate cost realism evaluation. DV United, LLC (B-411620; B-411620.2, 2015): Successful defense against protest of award of a contract for information technology engineering support services. The protest alleged that the award to our client was tainted by an organizational conflict of interest and a misevaluation of proposals. GAO denied the protests. Advanced Technologies and Laboratories International, Inc. (B-411658, B-411658.2, B-411658.2, 2015): Successful defense against protest of award of a $44.5 million contract for laboratory analysis and testing services at the Department of Energy Hanford Site. GAO denied the protests. Paradigm Technologies, Inc. (GAO B-409221.2, 2014): Successful representation of protester against award by the Missile Defense Agency of a $43 million contract for strategic planning and financial management support services. Nuclear Production Partners LLC (GAO, B-407948, 2013): Representation of LLC comprised of Babcock & Wilcox, URS, Northrop Grumman and Honeywell in successfully protesting the award of a $22.8 billion contract for the management and operation of activities at the Y-12 National Security Complex in Oak Ridge, Tennessee and the Pantex Plant near Amarillo, Texas, as well as the construction of a new uranium processing facility. EMCOR Government Services (GAO B-407917, 2013): Successful representation of protester against the Navy’s award to a competitor of a $66 million contract for base operating services at Patuxent River Naval Air Station. EJB Facilities Services (ASBCA 57547, 2013): We represented the contractor responsible for providing base operating and support services at the Navy’s West Sound base. We were successful in appealing the Navy’s deductive change for deleted work. The Board awarded our client $810,618 plus three years of interest. Idaho Treatment Group, LLC. (GAO, B-402725, 2010-2011): Representation of a special purpose LLC comprised of Babcock & Wilcox, URS and Energy Solutions in successfully protesting DOE’s award of a $592 million contract to process and dispose of TRU waste and mixed low level waste. After a re-competition, DOE awarded the contract to Ken’s client. CRAssociates v. United States (US Court of Federal Claims, 2010): Representation of healthcare contractor in seven protests at GAO and lawsuit at Court of Federal Claims resulting in injunction against award by Army of $234 million contract awarded to competitor. Lear Siegler (GAO, B-401076, 2009): Representation of Lear Siegler in protests against awards under the Army’s $16 billion R2-3G Program. In response to the protest, the Army took corrective action. Savannah River Tank Closure, LLC (GAO, B-400953, 2009): Representation of special purpose LLC comprised of URS, Babcock & Wilcox, Bechtel and CH2M Hill in successfully defending award of $3.3 billion contract for remediation of liquid waste at DOE’s Savannah River site. PMTech v. United States (US Court of Federal Claims No. 07-641, 2009): Representation of Plaintiff in obtaining judgment on the administrative record regarding an improper sole source award by the Department of Energy. ManTech International (Circuit Court, Fairfax County, Virginia, 2009): Successful defense of injunctive action to prevent competition for Army contract, and opposition to enforcement of alleged teaming agreement. CH2M-Hill (Civilian Board of Contract Appeals, 2009): Recovery of lost profits based on changes and failure to partially fund cost reimbursement contract. AvalonBay (US District Court, Eastern District of Virginia, 2009): Successful prosecution of series of embezzlement and RICO cases resulting in approximately $40 million in judgments and four criminal convictions. DataPath v. General Dynamics SATCOM (US District Court, Northern District of Georgia, 2007): Successful defense of General Dynamics SATCOM in opposing a motion for preliminary injunction based on an alleged breach of a teaming agreement. Caremark PCS, MSBCA Nos. 2544, 2548, 2568 (March 2007): Successful representation of Catalyst Rx in defending against a series of bid protests filed against the award of a billion dollar contract for pharmacy benefit management services. The Ravens Group, Inc. v. United States (78 Fed Cl. 390 2007): Representation of intervenor Rowe Contracting Services in successfully opposing an injunction against a contract for janitorial services at Bolling Air Force Base. This case was the culmination of 15 bid protests. PMTech, Inc. (GAO, B-297616, 2006): Successful protest against award of a sole source contract by the Department of Energy. FFTF Restoration Co., LLC (GAO, B-294910, 2005): Successful representation of contractor against award of an approximately $235 million contract for deactivation and decommissioning of a nuclear reactor. Jones v. Parsons (US District Court, District of Maryland, 2004): Successful representation of defendant Parsons Transportation Group, Inc. in obtaining summary judgment in a wrongful death and survival action based on an electrocution at a construction site. KiSKA-Kajima v. Washington Metropolitan Area Transit Authority, 321 F.3d 1151 (D.C. Cir. 2003, cert. denied, 124 S. Ct. 226 (Oct. 6, 2003)): Representation of transit authority in defending against a claim seeking approximately $50 million based on theories of fraud, breach of contract and unilateral mistake. After a six-week trial and 10 days of deliberations, the jury returned a verdict for Ken’s client. On appeal, the US Court of Appeals for the D.C. Circuit affirmed the judgment. United Payors & United Providers Health Services, Inc. v. United States, 55 Fed. Cl. 323 (2003): Obtained permanent injunction against performance of a $225 million contract for health care services. The court also awarded bid and proposal costs to Ken’s client. Burns and Roe Services Corporation, 2004 CPD ¶ 85 (GAO 2003): Successful representation of contractor against award of $95 million contract. ValuJet v. SabreTech, et. al., (Cir. Ct. for St. Louis County, Mo. 1999): Successful representation of defendants in three week jury trial against claim of $2 billion in business losses from crash of ValuJet Flight 592. Informatics Corporation v. United States 40 Fed. Cl. 508 (1998): Successful representation of plaintiff in obtaining an injunction against a contract award by the Air Force. The court found the contracting officer had unreasonably concluded that plaintiff had an unavoidable organizational conflict of interest. TRW Inc. and Widnall v. Unisys Corp., 98 F. 3d 1325 (Ct. of App. Fed Cir. 1996): The case involved a challenge to the Air Force’s decision that TRW’s proposal for computer-related devices and services represented the best value to the Government. The GSBCA sustained the protest. On appeal, the Federal Circuit reversed and upheld the award to TRW. Advanced Sciences, Inc., 95-2 CPD ¶ 52 (GAO 1995): Successful representation of protester against the award of a $64 million contract to a competitor. In its decision, GAO recommended that the Department of Energy make a new selection decision. GAO also awarded Ken’s client its protest costs, including attorney fees. Duke/Jones Hanford Company 93-2 CPD ¶ 26 (GAO 1993): Represented Kaiser Engineers Hanford Company in successfully protesting a $500 million contract award to a competitor. Kaiser then was selected for award, and Ken successfully represented Kaiser in defending against an award protest. TRW Environmental Safety Systems Inc. v. United States, 16 Cl. Ct. 520, 18 Cl. Ct 33 (1989): Representation of plaintiff in suit to enjoin the Department of Energy from awarding a $1 billion contract regarding the nuclear waste management system. The Court granted plaintiff’s motion for preliminary injunction after a four day hearing and granted plaintiff’s request for a permanent injunction after a six week trial. Rockwell International, Inc. v. United States, 8 Cl. Ct. 662 (1985): Representation of Rockwell in recovering its bid preparation costs.